Are you looking to increase your brand awareness in 2019? If so you’re not alone. After speaking with many of our clients it is apparent that this is something a lot of our customers have mentioned as a specific goal they wish to achieve this year. Whilst this is not an unusual goal to have, we think after a turbulent 2018 many are hoping the year ahead will offer more certainty and opportunities for growth. The most popular way of achieving this from our clients feedback is through increasing brand awareness and getting noticed. Whilst there are many ways to achieve this task one of the simplest and most cost efficient is through the use of promotional merchandise. Branded merchandise can be a great tool to use whether promoting your business overall,specific services or new product launches. Of course it is important to select quality promotional merchandise items in order to reflect your brand in a positive way. It is also worth noting that promotional merchandise that is perceived as useful is more likely to be valued and kept longer than novelty branded merchandise. This provides a cost effective way to promote your brand whilst also offering repeated and prolonged brand exposure and recognition. Particularly when compared to using advertising methods to increase brand awareness, which are often costly and short lived investments. We’re part of Brandelity, the experts in Branded merchandise! You may already be aware from our previous posts that USB-Flashdrive is part of Brandelity, specialists in creative promotional merchandise. 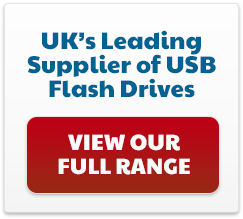 So, if you’re looking to increase your brand awareness in 2019 through utilising the power of promotional merchandise then be sure to take a look at our other site, you can view some of their best selling branded merchandise HERE! All of our products come printed with your company logo and we pride ourselves on sourcing distinctive branded merchandise so if you have somthing specific in mind and can’t see it on our site be sure to contact us and we’ll happily try and source your promotional merchandise. You can contact us here. Give your brand a boost this year with branded merchandise from Brandelity!